Ready to get on top of everything going on in your life? 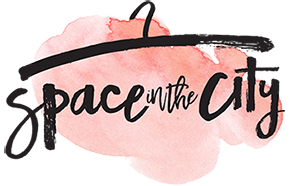 Here's a little about Space in the City - we're here to help you get organized! What is Space in the City? Space in the City is your place for all things organizing. What kind of organizing does Space in the City do? “I’m an entrepreneur/housewife/homeowner, can you help me get my office/closets/home organized? Help is on the way! Can’t figure out where to start? Overwhelmed with clutter? Stressed? Feeling anxious? Don’t know why? Thinking eliminating clutter would be an excellent place to start? You’re probably right! I’ll help you figure it all out. Why should I hire you / an organizer? You’re here to make a difference in the world, not to be bogged down by all this stuff you have in your life, causing you mental clutter, anxiety and stress. Overwhelm is the worst, believe me, I’ve been there. Also, you probably want to show your husband (mother-in-law) you got this. Sweet. That’s EXACTLY what I’ll help you with. "Working with Nicola was a big change for me. Not only was I able to go through about half of the boxes during our video call and decide what to do with every item in the box, I also had a plan of how to proceed with the remaining boxes. Nicola motivated and checked in regularly with me about my progress. Thank you for believing in me." Going through life with odd socks, was never my thing. I tried it for a while, I’m sure I was walking crooked. Nowadays, I like things nice and neat, what’s more, I like to make your things nice and neat too. I was raised in Ireland, in a nice big home full of space. I got quite the shock when I moved to Toronto. My country roots didn't prepare me for the tiny spaces that came with City living! I was one of those people who had a library full of organizing books, and all the latest magazines, with color co-coded tabs, to remember my favorite tips. I always had a passion for productivity tools and time saving tricks. I took what feels like 897 courses in organizing, productivity and digital marketing. I love creating systems and finding better ways to do things. I was born to help people, to take away their stress and overwhelm. When I am helping a client and I see calm wash over their face, that is my happy place. To hear a client say “thank you for believing in me,” makes my heart sing. Offering on-site home and office organizing in Toronto and video coaching all over the world. I have helped virtual clients in New York, Chicago and even as far as Germany. I live my passion every day, helping people, all over the world, find peace (and find things). I'm ready to book an organizer! What's it like working with Nicola? Nicola handles just about everything. It's time to release yourself from too much clutter, wasted time and being labeled as disorganized. Time to free yourself of clutter. You're worth the investment. Give me a call or send me a text RIGHT NOW (1) 647-214-1325. I BELIEVE that our home should make us happy + relaxed. I BELIEVE that women can do it all... if we ask for help. I BELIEVE in radical generosity. I BELIEVE minimalism is a snore fest (I tried it for a hot minute). I BELIEVE you should say no, more than you say yes. I BELIEVE in my muses Keir Dillon, Uncle Eugene + every old boss + coach I ever had who reached back and pulled me up. I BELIEVE in old fashioned manners. I BELIEVE in helping the less fortunate at every opportunity. I BELIEVE suffering taught me compassion; in every difficult emotion there is a lesson, pain is our wisest teacher. I BELIEVE in hand holding, big hugs, lots of tears and happy breakthroughs. I BELIEVE the universe has our back. I BELIEVE you are reading this for a reason. My mission comes from my mother’s 30 year battle with cancer. My mission is to help women get organized so that they can spend quality time with their people. Reduce clutter, create calm, reduce stress + anxiety, make them feel seen by their loved ones, make them feel in control. Make them want to leave the house so that they can come back to an organized clutter free home that they can proudly claim as their sanctuary.